WordPress doesn’t provide a way for your site’s users to upload files or submit new content. If you have a client, site authors, or other users who need to submit files, you can use a plugin to add this functionality to your site. There are a handful of high-quality plugins that can add a file upload form to your site. 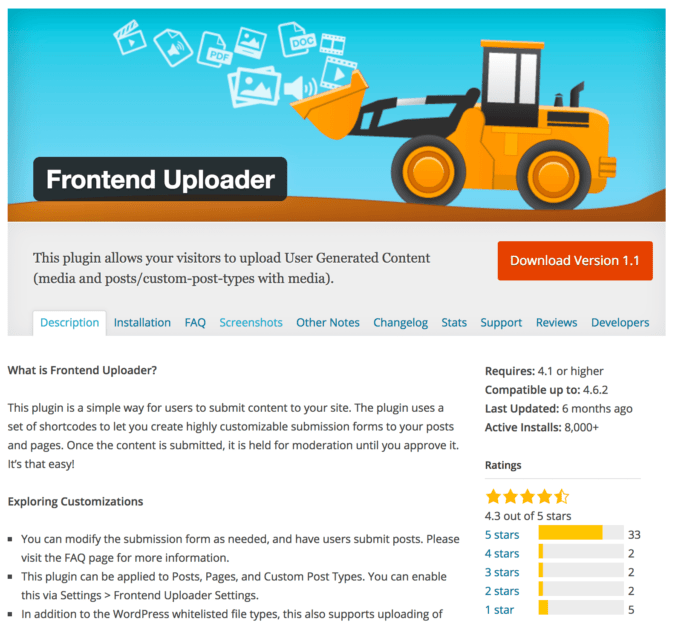 Below you’ll find the five best plugins for adding frontend file uploading to WordPress. Each plugin below has a similar functionality and a few unique features. Make sure to check out each one individually to make the best choice for your site. 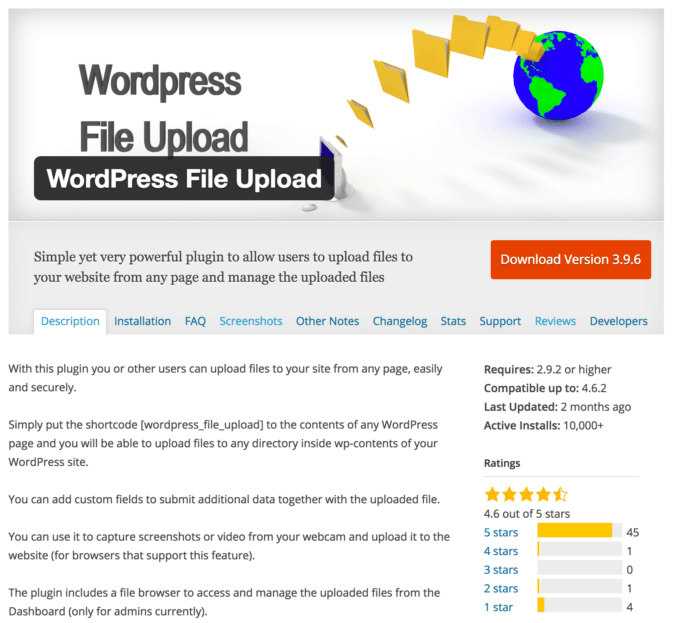 WordPress File Upload is an excellent plugin for allowing users to upload files. This plugin provides a shortcode which makes it easy to add an upload form to any post or page on your site. Here’s a tutorial on shortcodes if you’ve never used them. You can use this plugin to add upload forms to multiple places, even on the same page. This plugin is great for letting users submit content to your site. While you can use it to let users submit posts and pages, it can also handle submissions for custom post types. Of course, this plugin works well for simple file uploads as well. WordPress has built-in support for multiple authors allowing them to write and edit their posts from the regular admin menus. While access to vital settings is restricted, you may not want them to use your site’s admin menus at all. This is where WP User Frontend comes in handy. WP User Frontend to lets users create and edit profiles, and submit posts without accessing your site’s backend. It has a depth of functionality for allowing guest authors on your site, and the premium version is especially feature-rich. The Ajax Multi Upload plugin makes it easy to add Ajax-powered forms to your site. By using Ajax, users can auto upload and submit files through a form without needing to reload the page. This makes for a smoother user experience. Lastly, we have Gravity Forms Advanced File Uploader. This plugin adds additional functionality to the Gravity Forms plugin. It creates a new form field for allowing file uploads. On the frontend, it creates a custom upload form with a file browser where users can manage and upload multiple files. The WordPress File Upload plugin is likely best for basic file uploading needs, while Frontend Upload is probably the best choice for allowing users to submit posts and content. 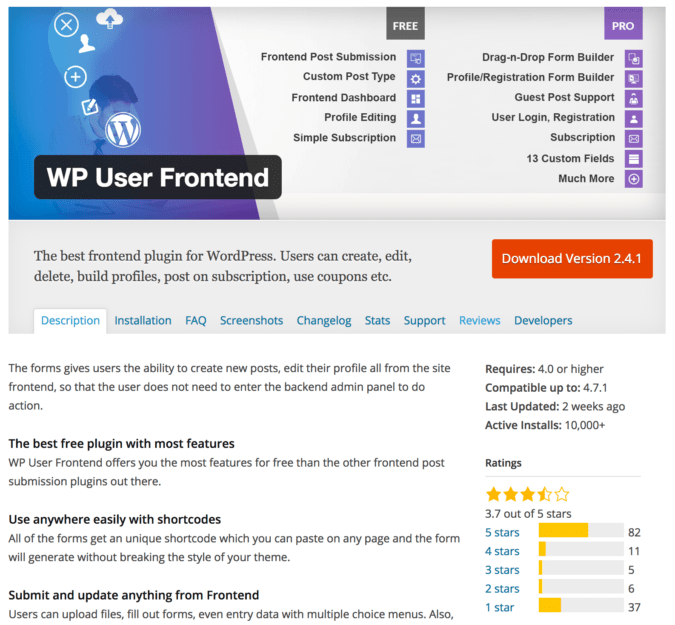 WP User Frontend has more features for letting authors create detailed profiles, and Ajax Multi Upload makes for the fastest, smoothest upload experience. 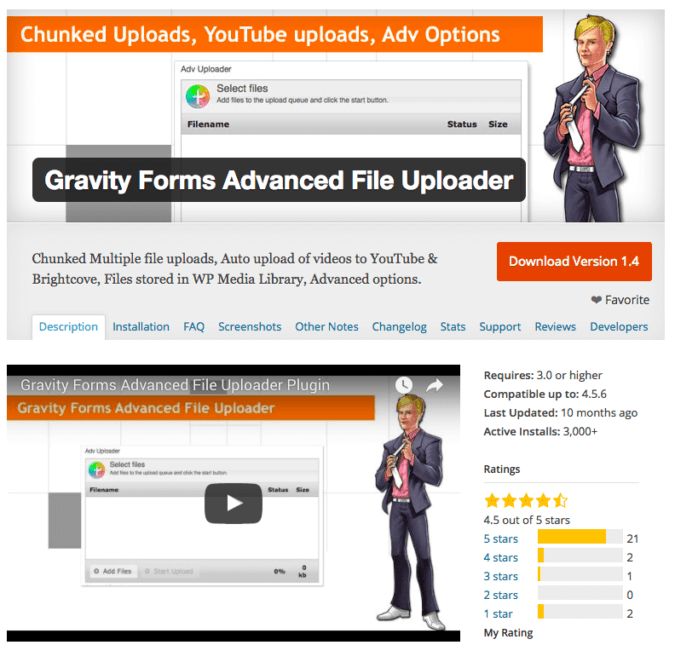 For anyone using Gravity Forms, the Gravity Forms Advanced File Uploader plugin will be a great fit. Is there any feature you can’t find in these plugins? Have any other recommendations? Leave a comment below. Copyright © 2019 Rapidshare | Theme by SiteOrigin.